– plenty of good food from 14 globally inspired caterers. – shopping options from 200 stalls packed with vegan produce, fashion, bodycare and cosmetics. – entertainment from comedy hours, music, kids activities and a bodybuilding contest. – culinary ideas from cookery demos and living raw food demos. – talks, films and workshops on health at the Vegan Health Summit on Saturday. – talks, films and workshops on vegan advocacy at the Vegan Activists Summit on Sunday. – socialising in the Mature Zone for those in their advanced years and the Teen VGN Zone for teenagers. Don’t miss out on this special event, enter here to win your very own pair of tickets to one of the most exciting dates in the vegan calendar! This entry was posted in vegan and tagged allergy, baking, competition, dairy free, dessert, egg-free, ethical, festival, food, free from, giveaway, gluten free, vegan, vegetarian, win. Bookmark the permalink. 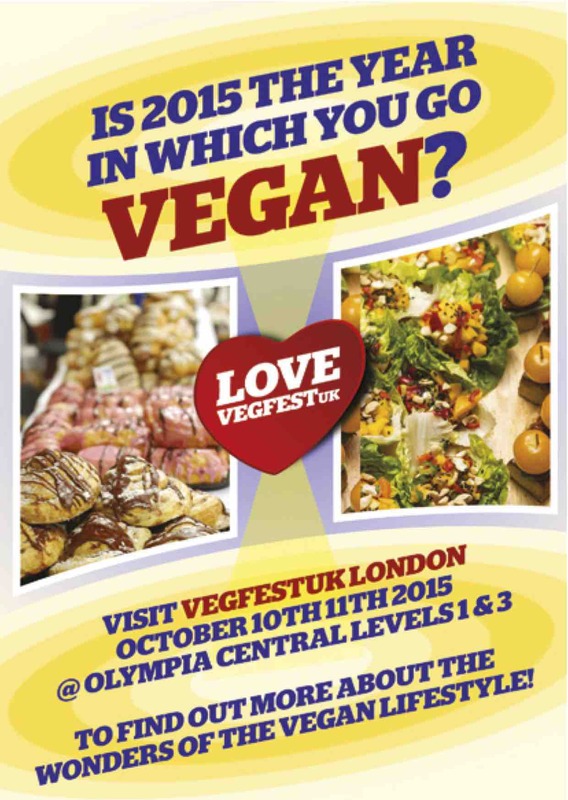 16 Responses to VegfestUK London Tickets Giveaway! I would love to go on the Saturday! Sunday 11th would be best for me! Probably Sunday. I’ve never been before!